How would you like to eat pizza and not feel guilty? Okay, maybe you never feel guilty eating pizza. Then how about eating pizza and do good for your health? Oh, it is possible without sacrificing the flavor. 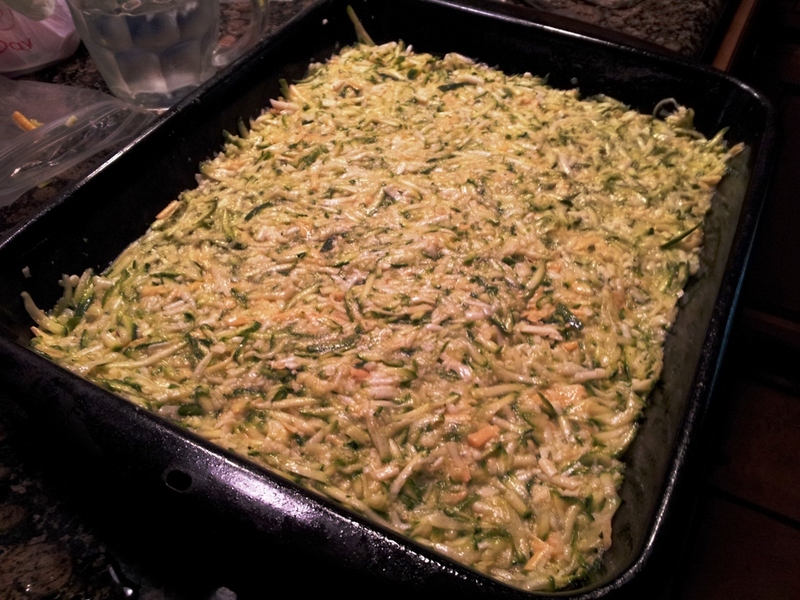 The secret is zucchini crust! 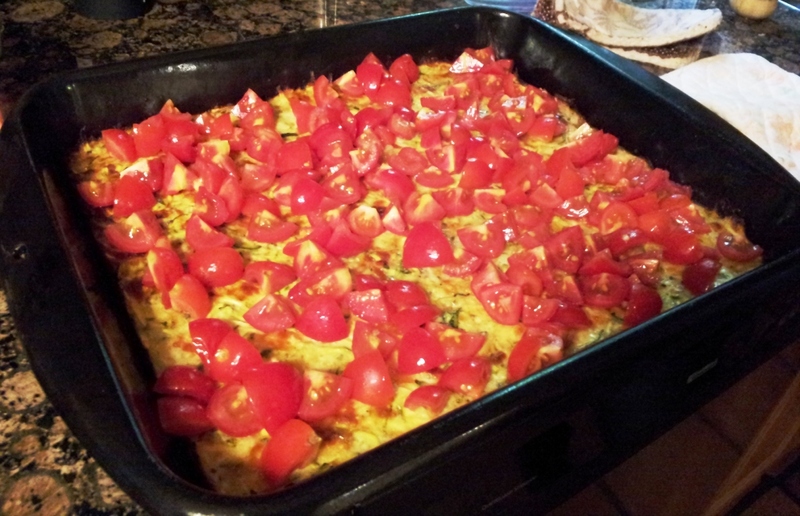 My co-worker, Chloe, spoke very highly of it and shared a recipe, and we gave it a try. Now it is a favorite! The original recipe can be found on the loveandprimal website, and below is our take on it. 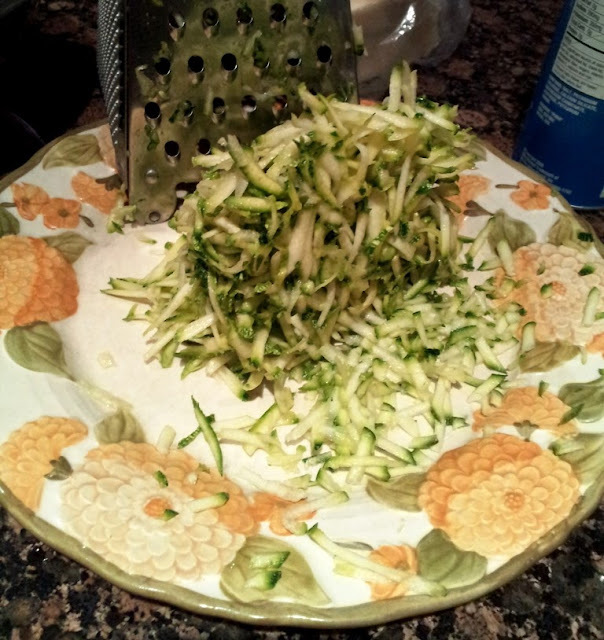 Shred zucchini and let it sit for a little bit to separate some of the water. Drain the liquid. Combine zucchini with the eggs, Parmesan, mozzarella, and cheddar cheeses, garlic powder, and seasoning. Press into greased baking dish. Bake, uncovered, at 400° for 30 minutes. 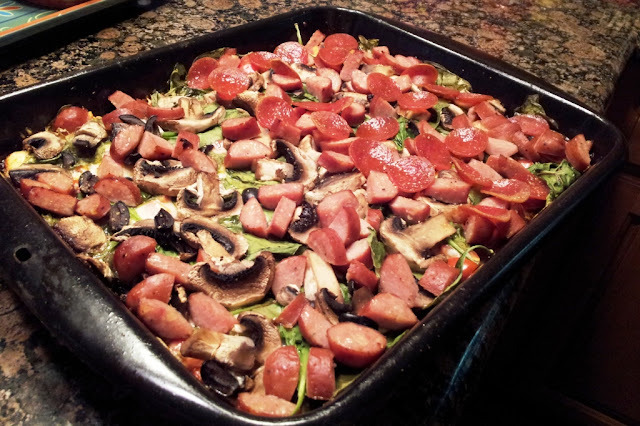 Meanwhile, prepare your optional toppings for the pizza. Tomato slices instead of the sauce. 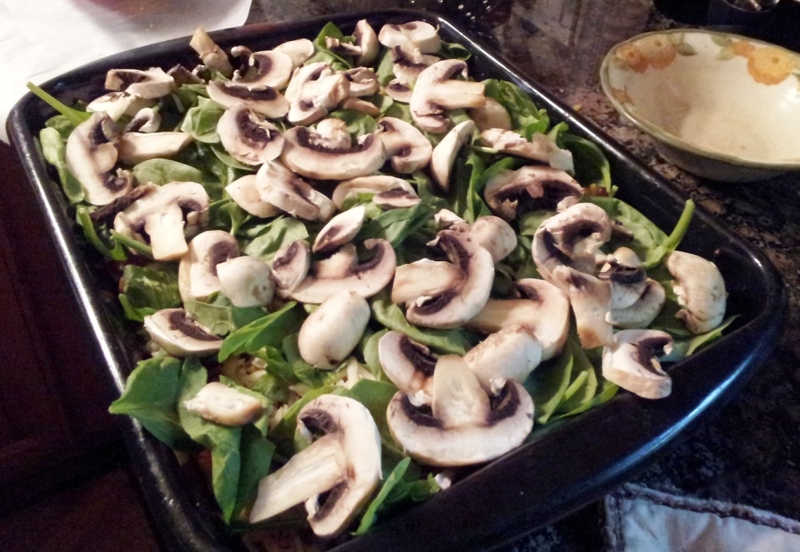 For other veggies, we got spinach and mushrooms, but sliced onions, green pepper, broccoli florets, and red pepper can work as well. Shredded mozzarella and shredded cheddar (1/2 cup per layer). After the crust turns golden brown, add the toppings. Spread tomato slices over the top of the zucchini (use these instead of sauce). 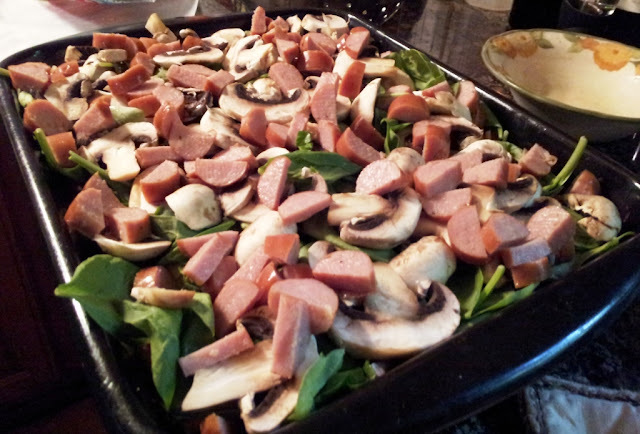 Layer other ingredients in this order: meat, vegetables, cheese, and sprinkle garlic powder and seasoning. Make 2 – 4 layers, depending on how deep you want your pizza. Bake for another 30 minutes or until heated through. Yield: 6-8 servings.